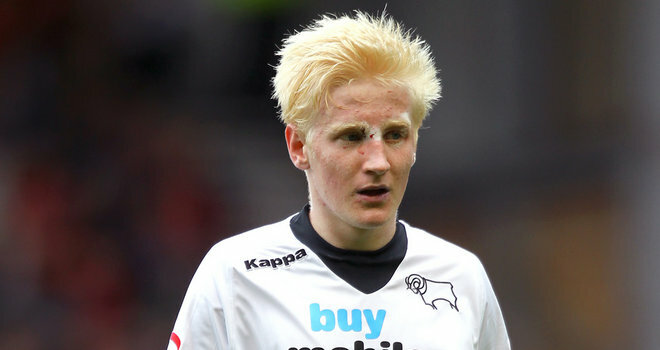 Will Hughes was the second youngest ever player for England Under 21s, behind Theo Walcott. Gareth Southgate has named his 23-man England under 21 squad that will face Wales in an international friendly next week. Last time out Southgate’s men broke records as they ran out 9-0 winners against San Marino and they’ll be hoping to use home advantage in their favour as they play at Derby County’s iPro Stadium. This will be familiar turf for Will Hughes, Andre Wisdom and Pat Bamford, who all play their club football with the Championship club. Manchester United’s Michael Keane also spent time with the Rams earlier this season. Southgate saw two of his main men, Luke Shaw and Raheem Sterling, called up by Roy Hodgson’s senior squad and told his side that they can be an inspiration for the under 21s. “I think it was always likely that we would lose a couple of players from the last squad to the senior team, but that’s great as it’s ultimately what we’re trying to do – produce players for the seniors and be successful,” he said. Goalkeepers: Jonathan Bond (Watford), Jack Butland (Leeds United, on loan from Stoke City), Sam Johnstone (Doncaster Rovers, on loan from Manchester United). Defenders: Carl Jenkinson (Arsenal), Ezekiel Fryers (Tottenham Hotspur), Michael Keane (Manchester United), Jamaal Lascelles (Nottingham Forest), Liam Moore (Leicester City), Jack Robinson (Blackpool, on loan from Liverpool), John Stones (Everton). Midfielders: Tom Carroll (QPR, on loan from Tottenham Hotspur), Nathaniel Chalobah (Middlesbrough, on loan from Chelsea), Will Hughes (Derby County), Ravel Morrison (QPR, on loan from West Ham United), James Ward-Prowse (Southampton). Wide: Thomas Ince (Crystal Palace, on loan from Blackpool), Jesse Lingard (Brighton & Hove Albion, on loan from Manchester United), Nathan Redmond (Norwich City), Wilfried Zaha (Cardiff City, on loan from Manchester United). Forwards: Patrick Bamford (Derby County, on loan from Chelsea), Saido Berahino (West Bromwich Albion), Harry Kane (Tottenham Hotspur), Danny Ings (Burnley).